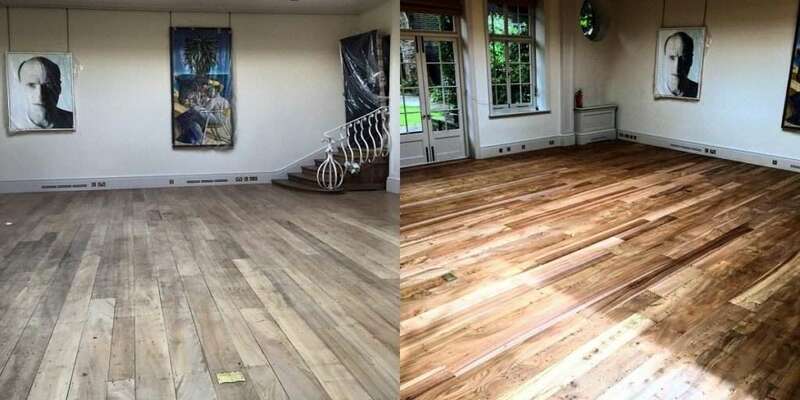 Quicksand Flooring are the floor sanding Essex specialists; we provide wood floor sanding services for businesses and homes across Essex, as a leading wood flooring contractor for the region. We regularly work on small and large projects alike. Many businesses and public-sector organisations choosing Quicksand for their ongoing floor maintenance requirements. Our Restoration Techniques Truly Restore Hardwood Floors to Their Best! Floor sanding reveals the hidden beauty in even the most tired and well-used wooden flooring, whether domestic or commercial. This technique is also more environmentally friendly than replacing flooring, as old floors can be lovingly restored to their full potential. Quicksand uses the highest quality floor sanding machinery and all our staff are fully trained in the best techniques to ensure your floors look fantastic with a superior, smooth finish. We love seeing how clients react to their newly transformed wooden floors! Using five abrasive belt grades on the floor, each belt decreasing in coarseness to sand down finer and finer imperfections until the floor is entirely smooth. Applying an optional stain, then coatings of oil, wax, or seal according to your preference. Buffing the floor between each coating to ensure there are no undulations. For floors that require a bit more attention to bring them back to their best, we also have a floor restoration service for Essex clients. Floor restoration is ideal for wood floors that are full of gaps or otherwise uneven. Find out more about this process on our floor restoration page. Quicksand Flooring specialises in commercial floor sanding Essex services. Our team can work flexibly around your opening hours, ensuring the least disruption possible to you and your business. The tried and tested floor sanding techniques we use ensure your freshly sanded and restored floors will last for years to come with a smooth and shining finish. We have worked with a variety of commercial clients across Essex and Greater London, including shops and shopping centres, hotels, restaurants, schools, museums, pubs, nightclubs and bars, sports and leisure centres, community centres, and gyms. 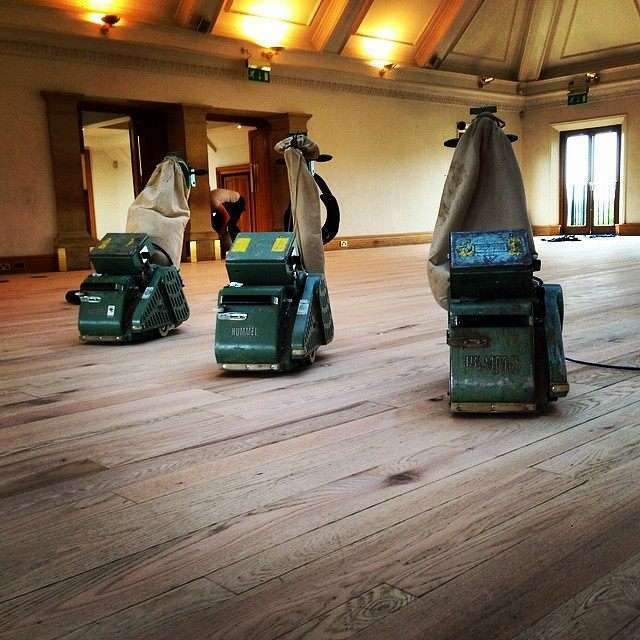 Ready to restore your wooden floors to their full potential with floor sanding? Get in touch with Quicksand Flooring today for advice on your flooring. You can also book a consultation with us at your premises. You can fill in an online contact form or phone us at the office on 0800 917 7770.